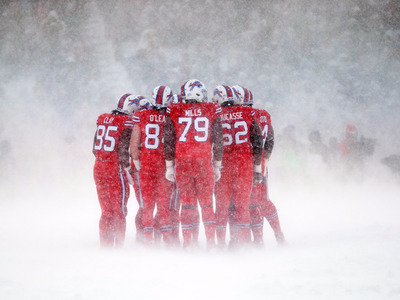 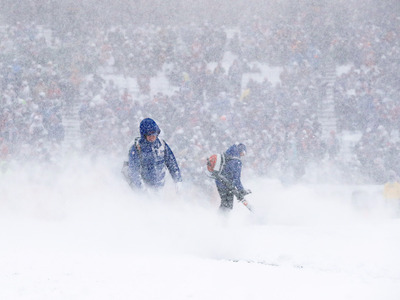 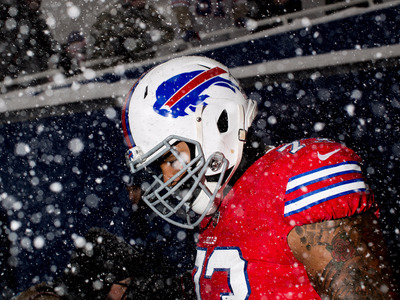 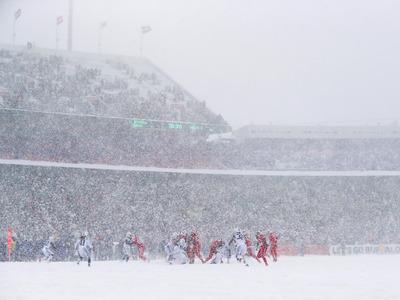 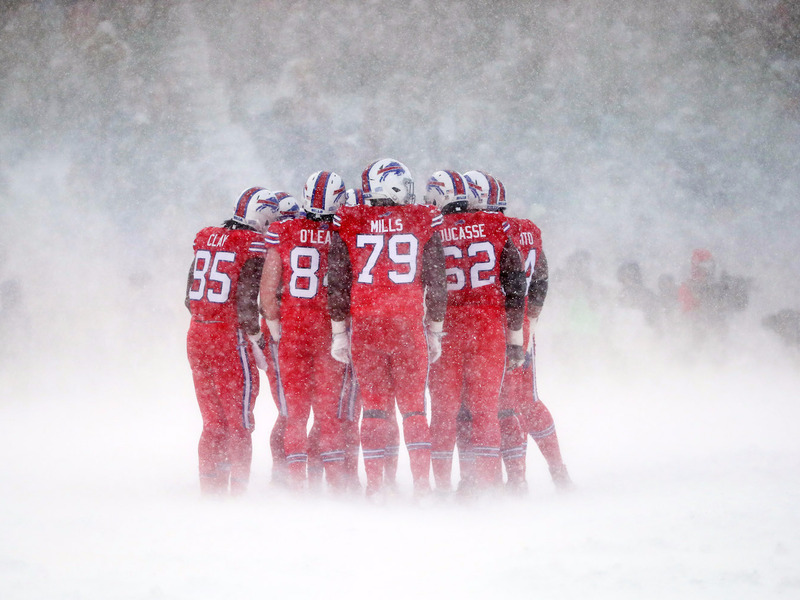 Buffalo, New York, reportedly received up to 17 inches of snow, and despite the field crew’s efforts to clear the snow beforehand, it kept on coming down during the game. What resulted was a run-heavy slug fest that produced some incredible images. 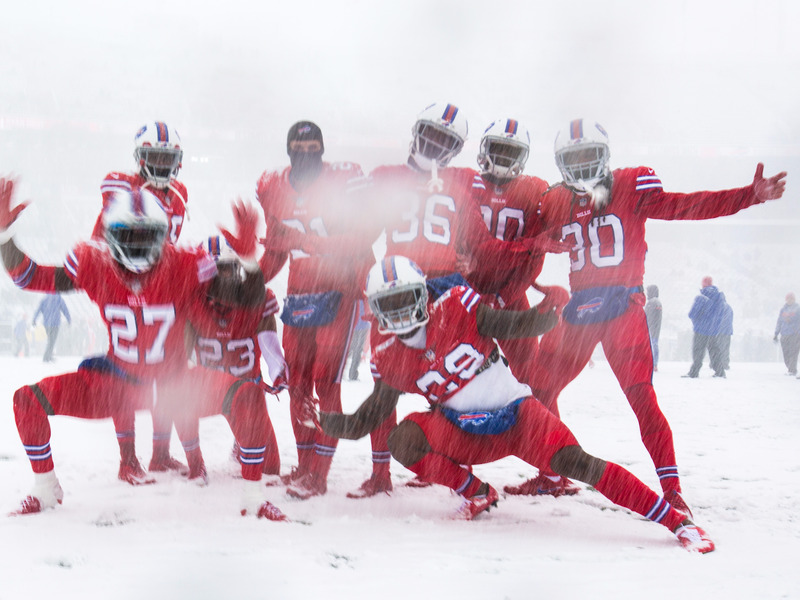 Take a look at some of our favourite photos below. 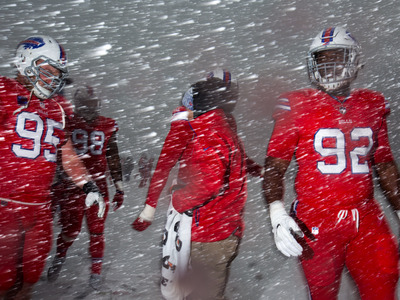 Players tried to prepare themselves beforehand for the cold three hours to come. 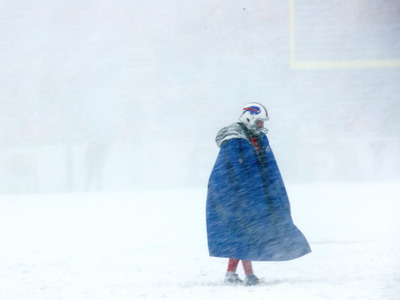 “Warming up” may have been tough to do. 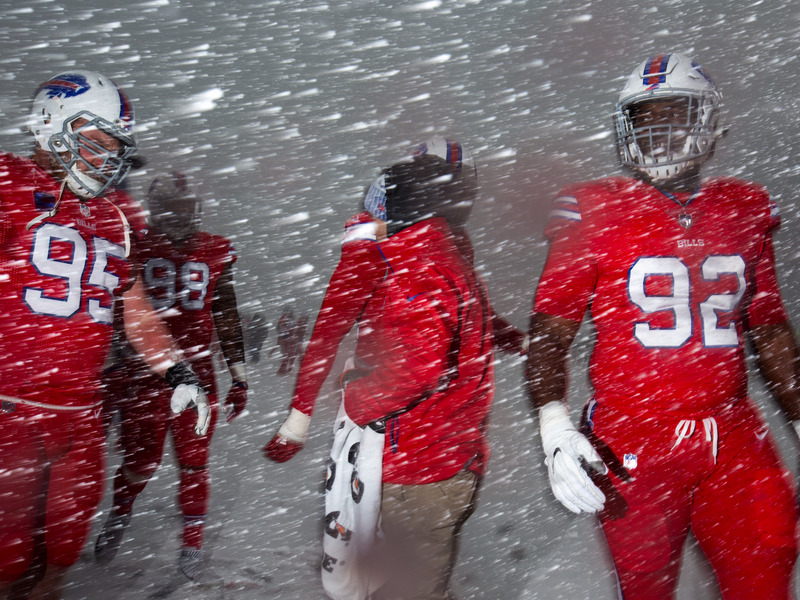 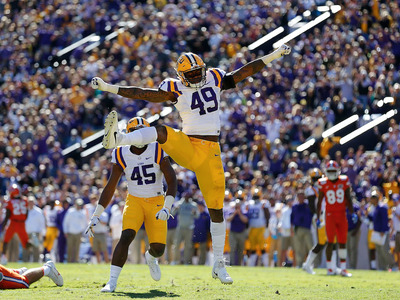 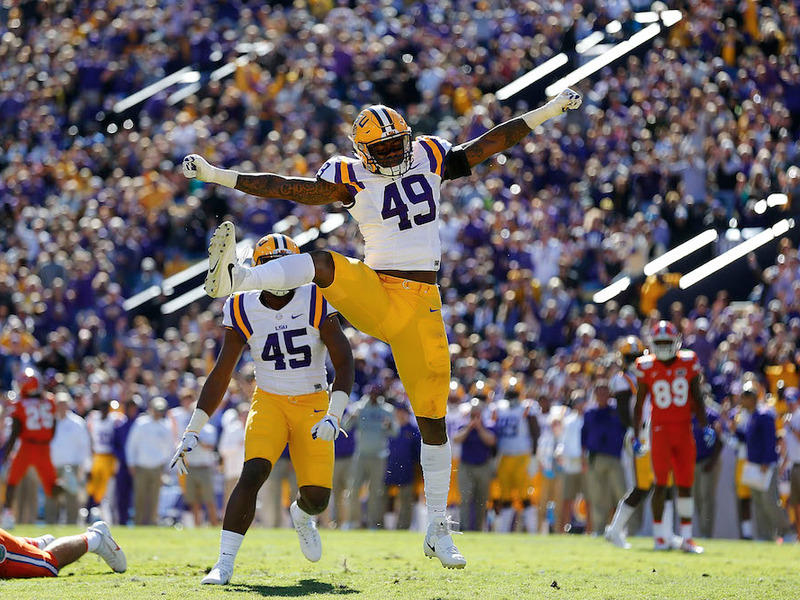 Pregame festivities took on a new image in the powder. 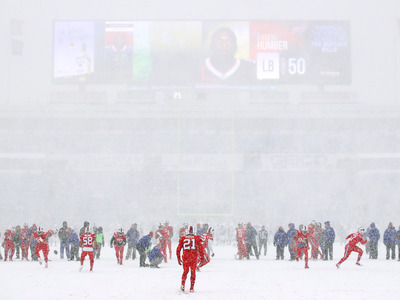 Teammates looked even more unified than usual with the lack of visibility. Fans still came out in droves. 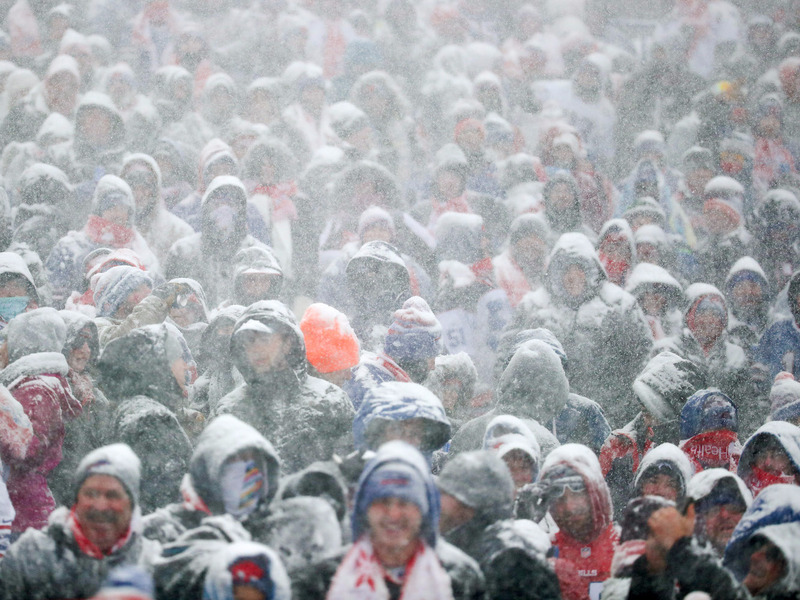 And Bills players seemed to be having fun, too. 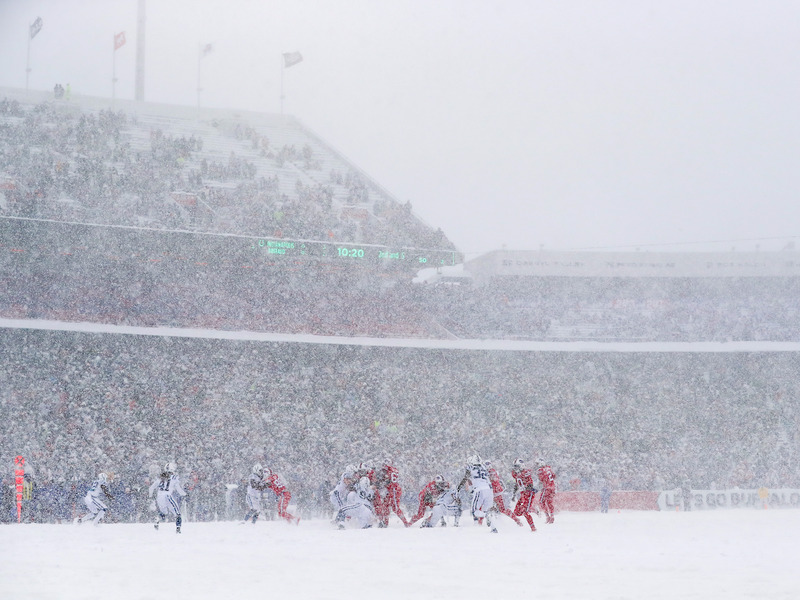 The action looked blissful from afar. 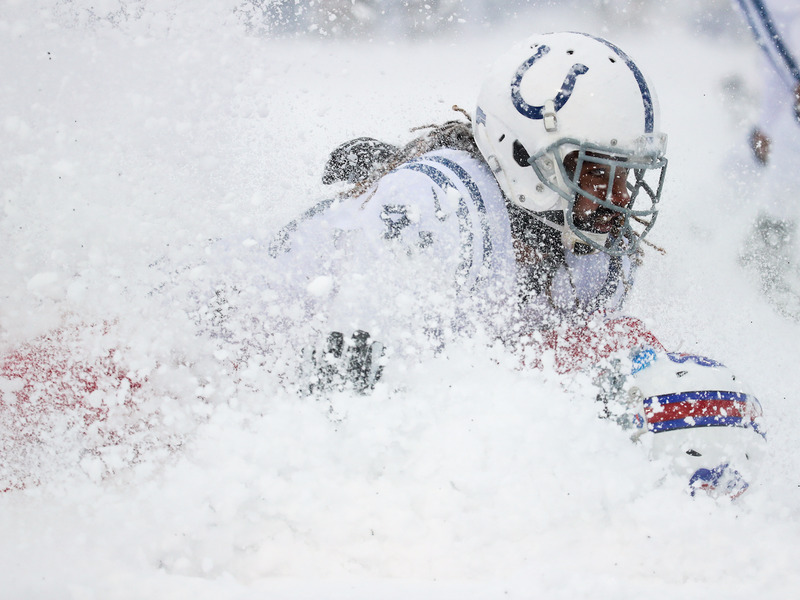 At times, players looked like they were up to their necks in the snow. Other times, they looked completely buried. Field workers had to blow off snow so referees and players could see the yard lines. 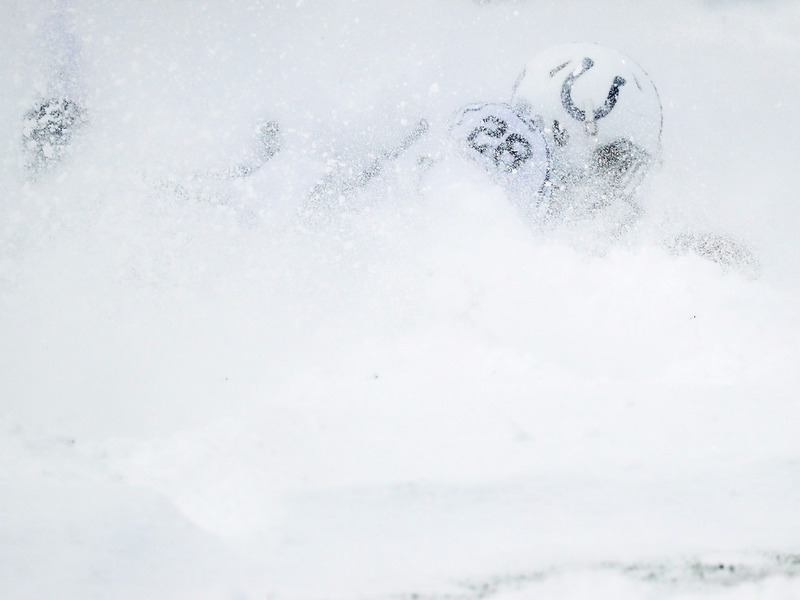 As conditions worsened, it at times created a sense of isolation on the field. Aiming must have been difficult. The snow exploding off the players made hits look even more dramatic. 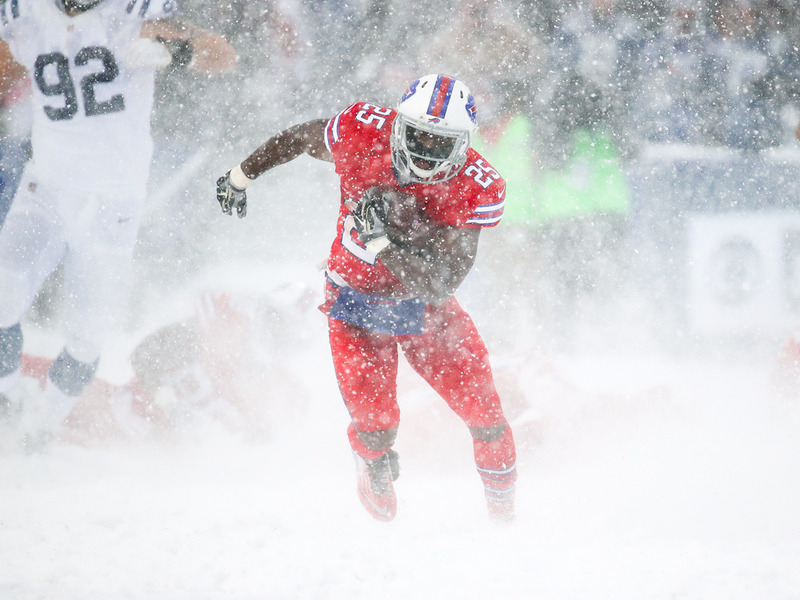 LeSean McCoy’s breakaway run to win the game looked laborious through the snowy field.